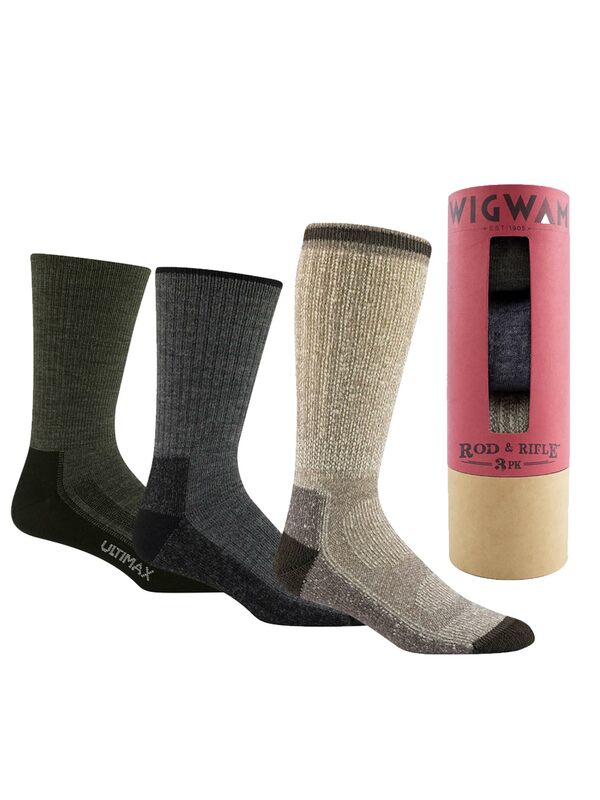 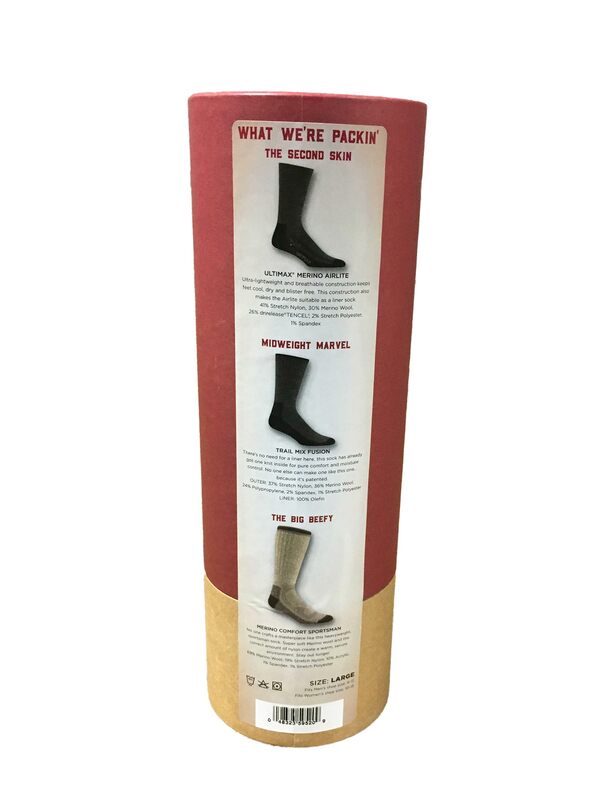 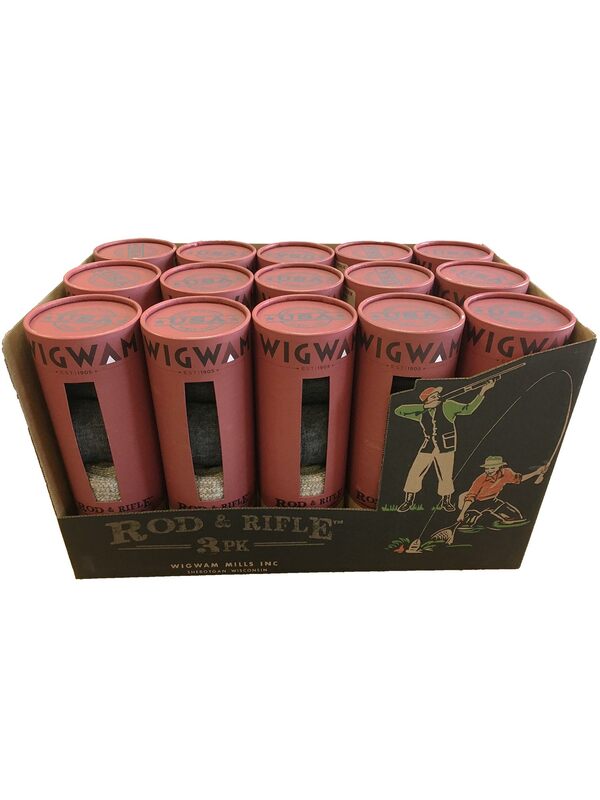 The Wigwam Rod and Rifle Socks (3 Pack) features a great range of features in a trifecta of Wigwam’s best outdoor socks. 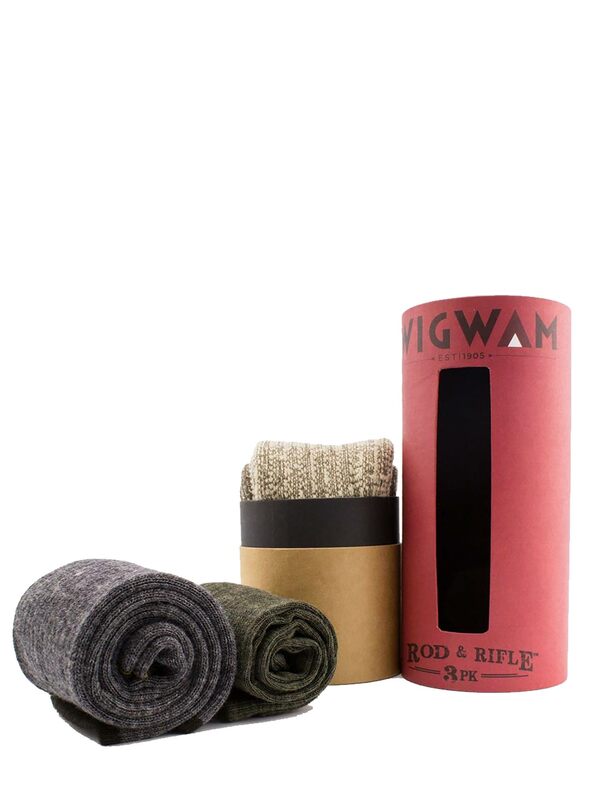 This three pack covers the gamut from warm, Merino wool to the technical blister-free advantages of Wigwam’s patented Fusion and Ultimax constructions. 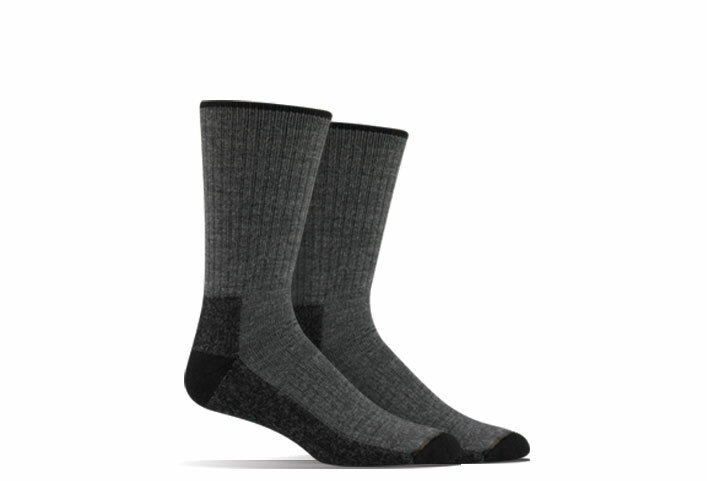 Merino Comfort Sportsman socks are insulating and itch-free, making them perfect if you’re hunting for a heavyweight sock for the field or tree stand. 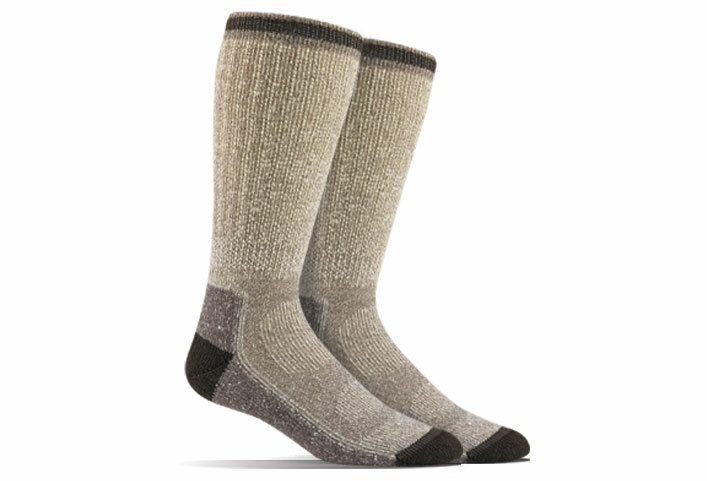 The Trail Mix Fusion socks blend an outer Merino wool layer with an inner Olefin liner to satisfy your craving for the ultimate hiking socks. 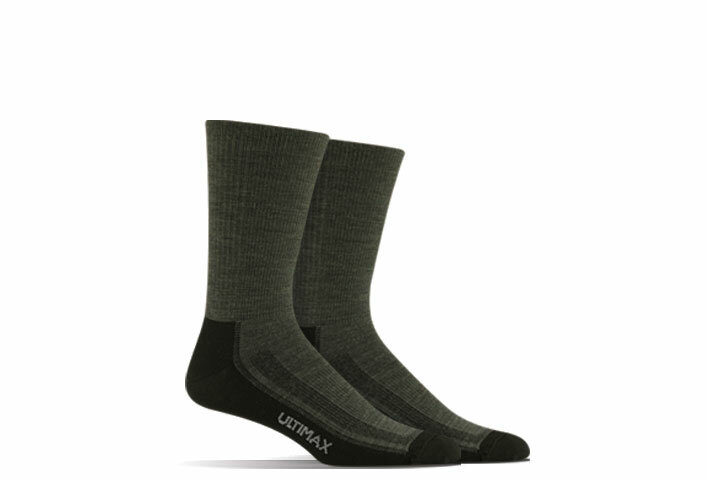 Rounding out the trio is Wigwam’s Ultimax Merino Airlite, an ultra-lightweight hiking sock with patented moisture control and soft Merino wool.Comes packaged in a cool shotgun shell you will be ready for any outdoor activity, the Rod and Rifle Socks (3 Pack) makes a great gift for youself or a friend!